Anyone applying for membership must complete the on-line Proposal Form. The Proposal Form must also include the details of a Proposer and Seconder to endorse the application, they must be members and have known the prospective member for at least 2 years. The Proposer and Seconder should not be related to the prospective member or to each other. The proposer and seconder will be asked to give some brief comments in support of the application (eg the candidate’s relationship with Klosters, skiing ability, length of time known, reasons for wanting to become a member etc). Marden’s Club has 3 different types of membership, namely Ordinary Membership, Family Membership and Life Membership. Please click here to find out more about subscriptions or here to view the rules of the Club. Only children of the prospective member who are under the age of 25 can be included in the family membership. Children over the age of 25 must apply separately for Individual Membership. Likewise upon reaching the age of 25, a child will cease to be included in the family membership and will be invited to become an Individual Member (in such instances a proposer and seconder are not required). Please add the names and email addresses of your Proposer and Seconder below. They will then be emailed and invited to endorse your application. 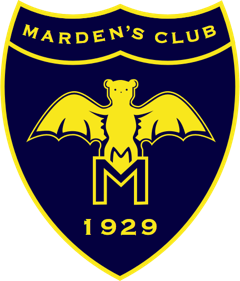 Your proposer and seconder must both be members of Marden’s Club and have known you for 2 years or more. They should not be related to you nor to each other. Please confirm that you have a UK bank account from which you will be able to pay your annual subscription. If you do not then we will send you the UBS bank details to set up your Direct Debit in Switzerland.